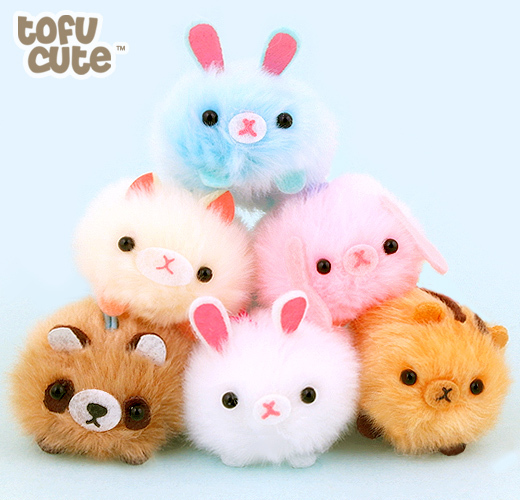 Kawaii Kitten Picks - Super Cute Kawaii!! It is kitten season and whether you are looking to adopt a new family member or celebrate your kitty I have you covered from your claws to your tail! 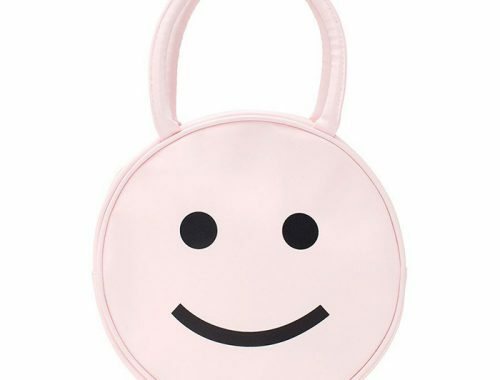 A roomy tote that can lug around books or a bag of kitty food is always needed. 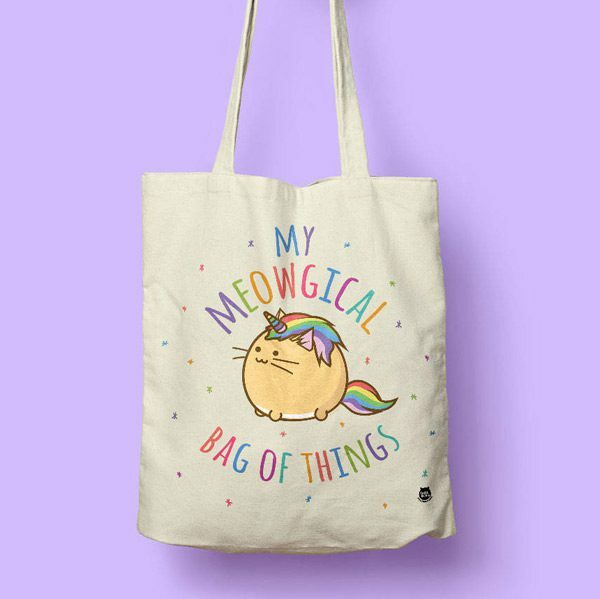 I like the look of this meowgical unicorn kitten by TheFuzzballs to keep your stuff protected and cute. 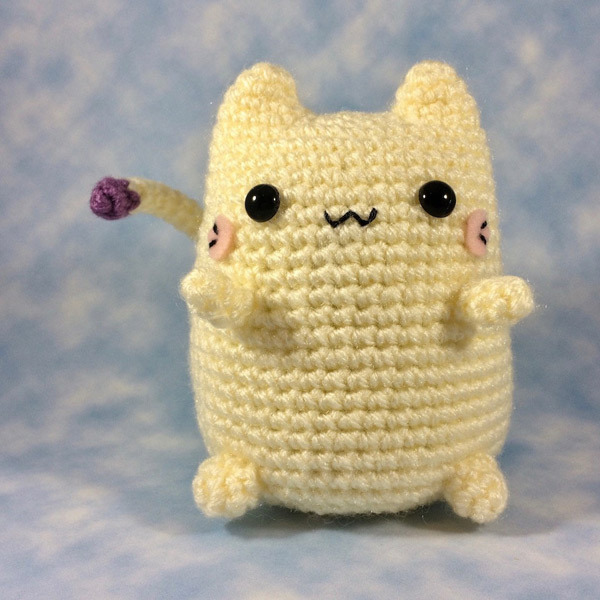 Create your own lil kitty with this sugary sweet crochet pattern for Fumfort the comfort kitty by SugarPopCrochet. 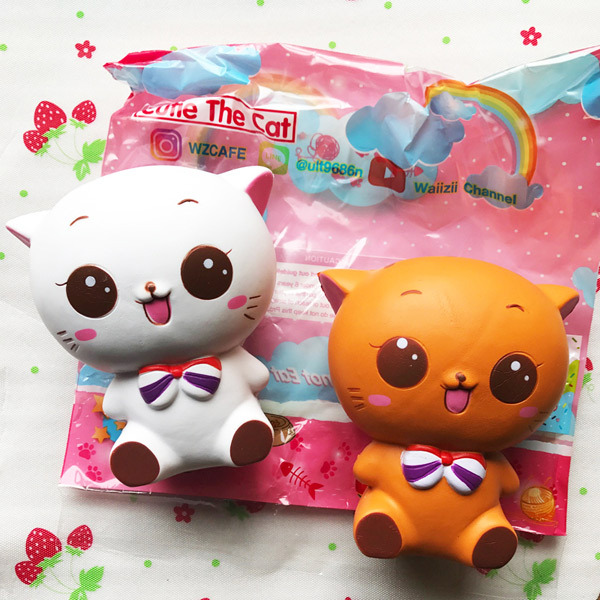 The smiling faces of Cutie the Cat will surely make you grin. If not, the squishy action will! They’re also scented like vanilla mocha and sweet coffee. 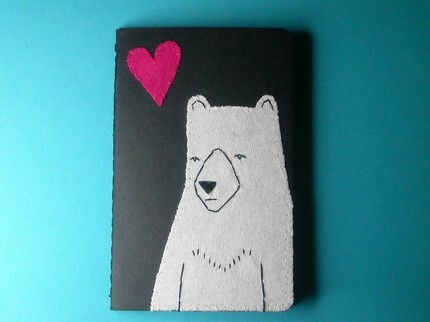 I am a fan of Beth Spencer’s cute illustrations. 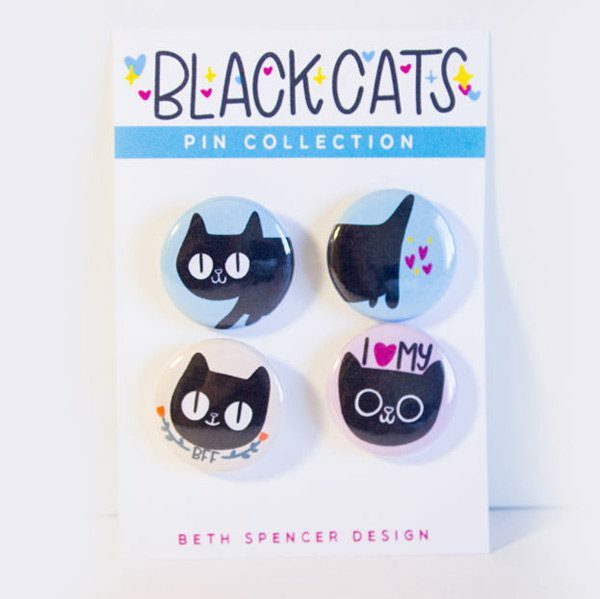 A few of her pins have made it onto my bag and this black cats set might be purr-fect for you! I cannot forget the kitties! 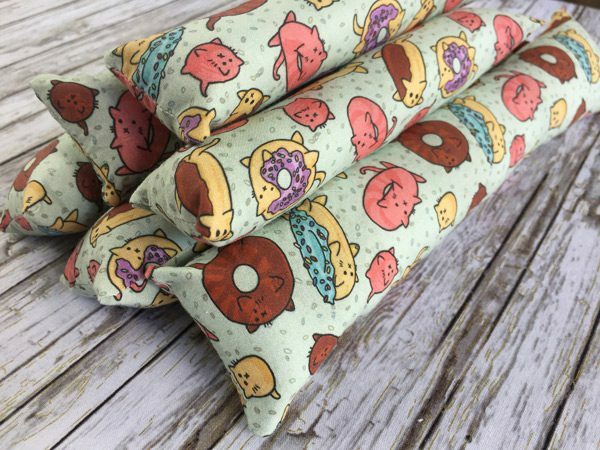 Keep your cats entertained in style with catnip kicker toys by Bruce + Fox in a donut cat design.